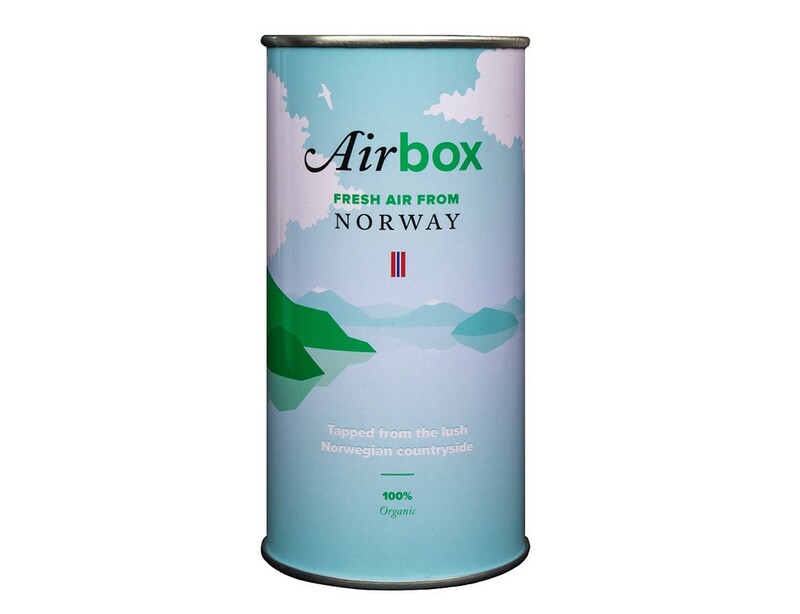 Yes, that is exactly what it is – organic, fat free, Norwegian air! whispered through the mighty forests before whirling into the Airbox. 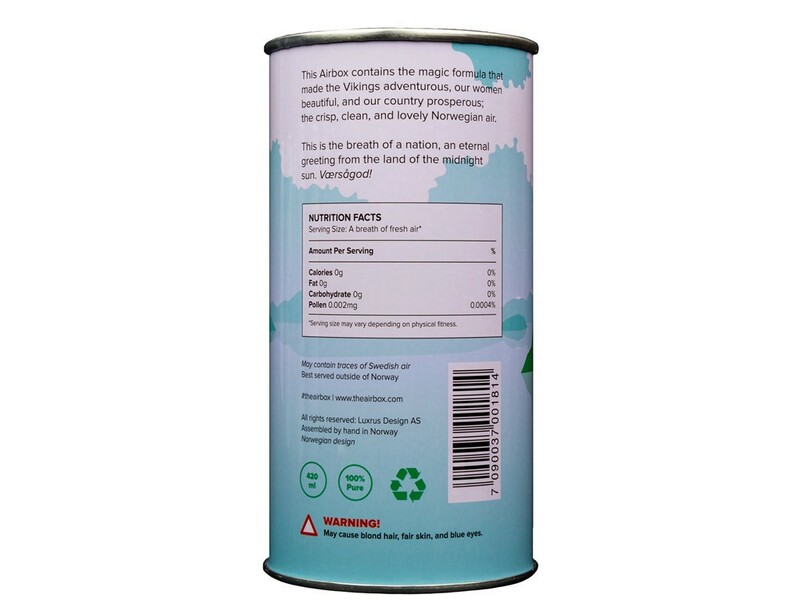 Buy a piece of Norwegian heaven for yourself or someone you love! funny and different souvenir. 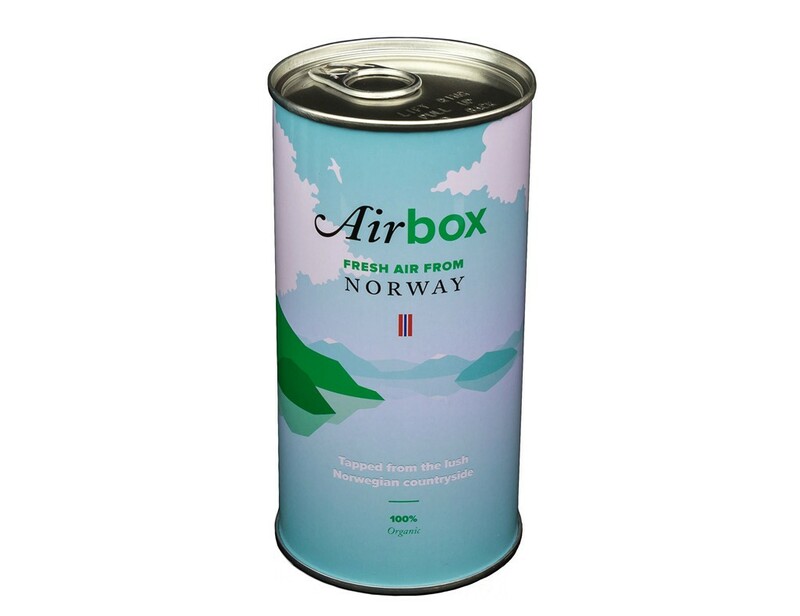 A breath of fresh Norwegian air. May contain traces of Swedish air. Measures: Diameter 7 cm (2 8/10”). Height 13 cm (5 1/8”). 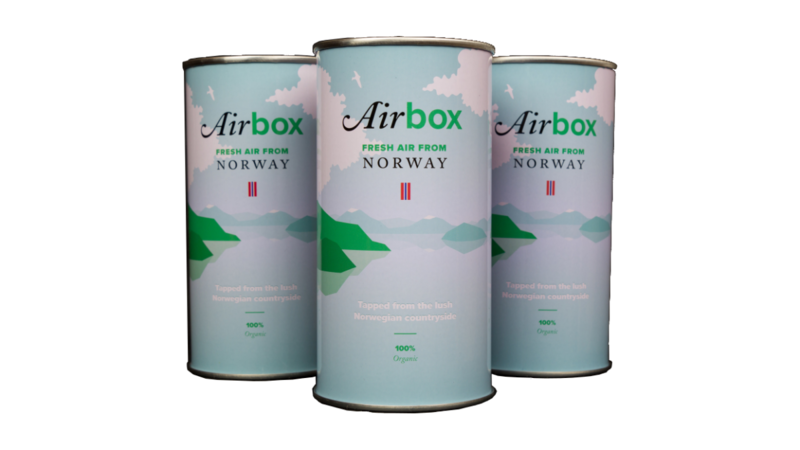 many Airboxes you want, and not pay more than €6,99 for your whole order!